​Our focus is all about being a great regional timber products company. , an industrial town and deep-water port is located on the Tamar River in Northern Tasmania. The port is conveniently located close to our mill, allowing for easy shipment of our woodchips to overseas markets. Bell Bay is situated just a few kilometres away from picturesque Georgetown. Rich in history, Georgetown is Australia's third oldest settlement and home to over 7,000 people. ​tartpeena, meaning large red gum tree. 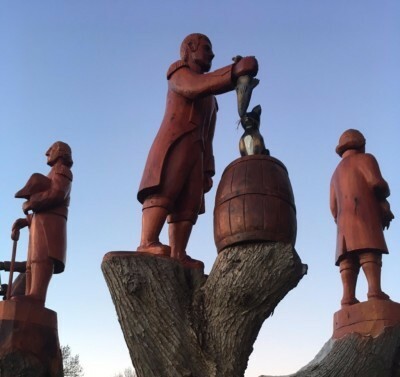 Tarpeena has a rich sawmilling history, being the site of one of Australia's oldest privately owned plantation pine sawmills - the SAPFOR mill, which began operations in 1935 and is now the site of our Timberlink mill. 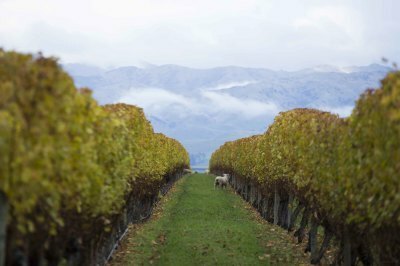 , (Māori: Waiharakeke) is New Zealand's largest grape-growing and wine making regions and home to about 30,000 people. Established in the 1850s, early settlers dubbed the settlement The Beaver, Beaver Town or Beaverton because of frequent floods. The region is now home to 20,000 hectares of vineyards and about 67,00 hectares of Radiata Pine plantations. Our mills only process sustainably grown Australian and New Zealand plantation pine with the majority of logs certified by either the AFS/PEFC or FSC schemes (or both). The remainder is controlled through a Due Diligence system. As well as providing safe, stable, long-term regional jobs, our mills support and develop local talent with apprenticeships, leadership mentoring and technical training programs. All of our mills are significant direct economic contributors to the regions in which they operate. Not just by employing locals and using local businesses but also providing substantial indirect economic support to their communities. Accepted methodologies for estimating these impacts indicate the total economic impact of all three of our mills is over $380M. This is approximately $180M pa for Tarpeena, $150M pa for Bell Bay and NZ$60M pa for Blenheim. We also provide support to local community groups such as schools, childcare centres, scout groups and sporting clubs as well as community health fund raising events. We know we are only as strong as our communities which is why we are always looking to give back. For a number of years now, Timberlink Australia has supported The Science and Engineering Challenge providing funding and an employee to assist with the judging. This is a nationwide Science, Technology, Engineering and Mathematics (STEM) Outreach Program presented by the University of Newcastle in partnership with communities, Rotary clubs, universities and businesses. Over the past ten years more than 21,000 school kids have participated in the challenge. The aim of the program is to help address Australia’s current skills shortage in the fields of science and engineering. It does this by setting challenges where the students have to use creativity, innovation, problem solving and team work to solve a challenge set on the day. This helps kids to understand how we need and use science and engineering to solve problems every day something that can get lost when looking at textbooks in a classroom. The success of the program will be measured by how many more students decide to study Enabling Sciences and Mathematics in Years 11 and 12 thereby giving them the option of a career in the sciences or engineering.